Wearables can easily empower humans by providing them several unique capabilities. However, they also create new business areas and dedicated cases studies highlighting the non-intrusive functionalities and wide range of these devices. While payment appears as the most promising area, innovative case studies on transportation and access control are encouraging. 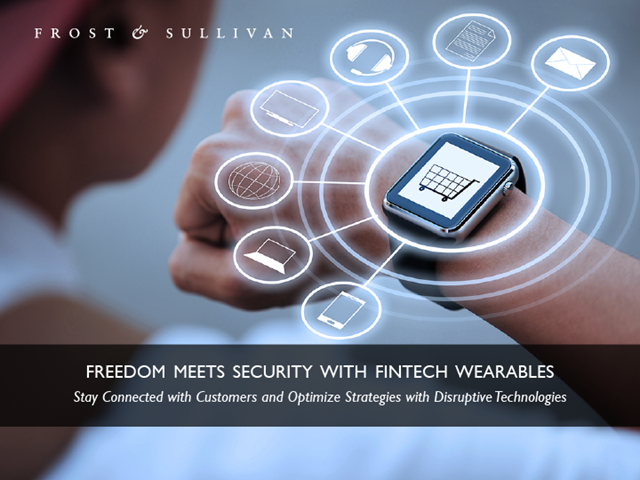 Frost & Sullivan expects the wearable market to reach 220 million devices in 2020; more than 50% of these devices will be smart watches. Even if Apple smart watches did not reach the expected forecast in 2016, the average price per wearable shipped is expected to increase over the forecast period from about $215 in 2014 to about $247 in 2020, at a compound annual growth rate (CAGR) of 2.3%.